My sweet little Halli has grown up so fast. As much as I wish I could slow down time so she could stay my baby it is also really fun watching her grow up. She is the coolest little person. She is smart, a sweet friend, and really funny. She loves to color, and paint. She could work on different art projects all day if I let her. She is super girlie and her favorite colors are pink, gold, and glitter. It is so fun having a little shopping buddy and her love of shoes almost matches mine. 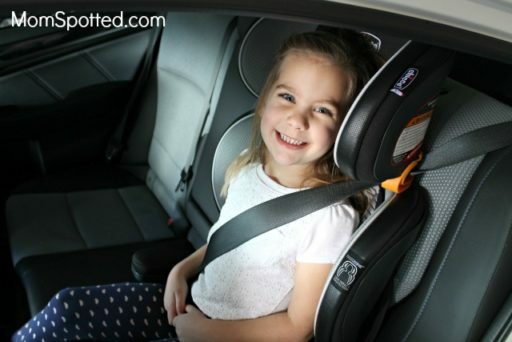 Halli recently had a huge growth spurt and I noticed her head was getting close to the top of her Chicco NextFit® Zip car seat. It was time to transition her to a booster and Chicco has been the brand we have trusted from day one. 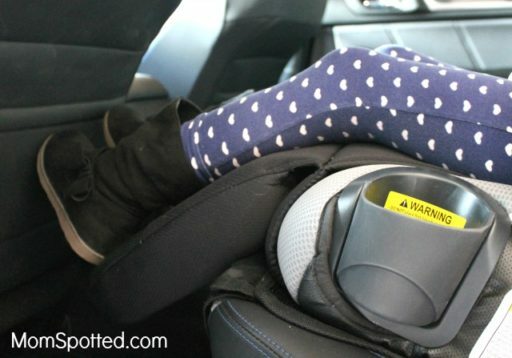 The Chicco KidFit® was the obvious choice of car seat for us to transition to. Halli loves her “big girl” car seat and I love that I can still have the peace of mind that she is safe in the car. 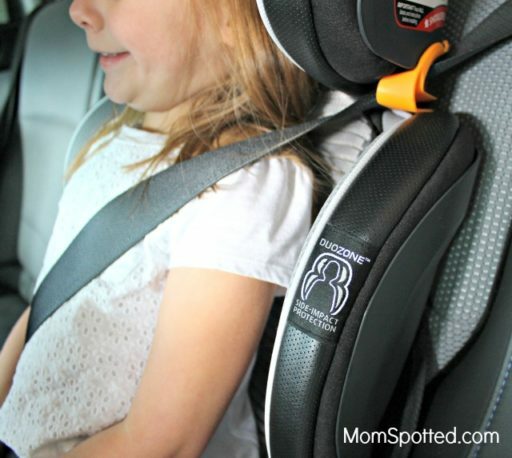 We have the Chicco KidFit Zip Air 2-in-1 Belt-Positioning Booster car seat. It has so many great features. It has been the perfect transition seat from her 5 point harness. The KidFit also has LATCH connectors and Chicco’s amazing SuperCinch® technology. SuperCinch is one of my favorite features of Chicco. 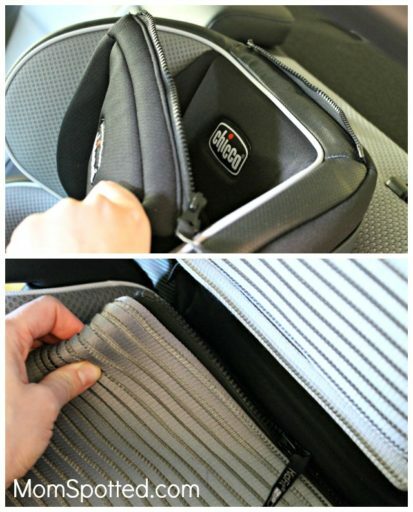 After the LATCH connectors are secured all you have to do is give the SuperCinch one good pull and the car seat is secure. Chicco’s car seats are always so easy to install. There is also a belt guide that makes the seat belt rest perfectly across her chest. The side-impact protection is also really awesome. There are 10 positions of DuoZone® side-impact protection while Halli continues to grow. 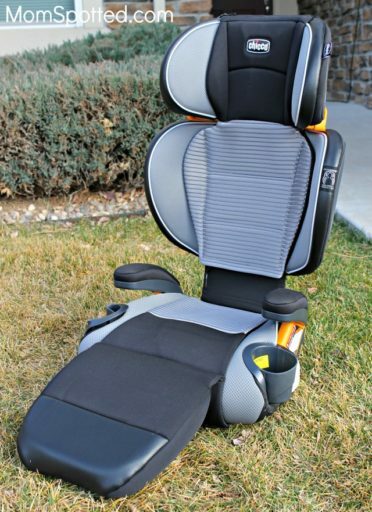 A contoured ErgoBoost® Plus seat with triple foam padding provides comfort and support in all the right places, and a 2-position backrest adjusts to mimic the vehicle seat position. This seat is so comfortable. Halli immediately said how comfortable and soft it was. The armrests have soft covers and there is also a leg rest. She also really loves the leg rest. It is soft and flexible so she can get in and out of the car with no problems. The KidFit Zip Air also includes 3d AirMesh on the seat and backrest. Halli is naturally just warm all the time. We joke that it’s because she is our Texas baby. She really could live in a swimsuit even in the middle of our Colorado winters. The 3D AirMesh provide more padding but also breathability so she doesn’t get hot and sweaty in the car. We take really long road trips to grandma’s house a few times a year. The 3D AirMesh has been so helpful keeping her cool and comfortable the entire 8-hour drive. One of my other favorite features of the KidFit Zip Air all of the fabrics, including the armrest covers can be removed and are machine washable. I loved this feature so much of her NextFit Zip. Halli has a tendency to also get carsick. It has been a lifesaver to be able to easily unzip the padding, throw it in the washer, and have it come out like new every time. Kid’s are also just naturally messy in the car. I swear our car seats always have a little apple juice spill or goldfish crumbs. The zip feature is so nice to always keep the car seat looking great. Since we do take so many long road trips it is so nice that the KidFit has two dishwasher-safe cup holders. Halli sits in the back with her older brother. The cupholders are awesome because they can be collapsed into themselves to be moved out of the way and can also be completely removed. There is also a bonus storage console fits into either cup holder. It is so awesome for carrying her little toys, crayons, or snacks. We have loved this car seat so much. As Halli grows the backrest can also be removed to be a backless booster. It is so sturdy, easy to install, comfortable, easy to clean, has great side impact protection and Halli loves it. 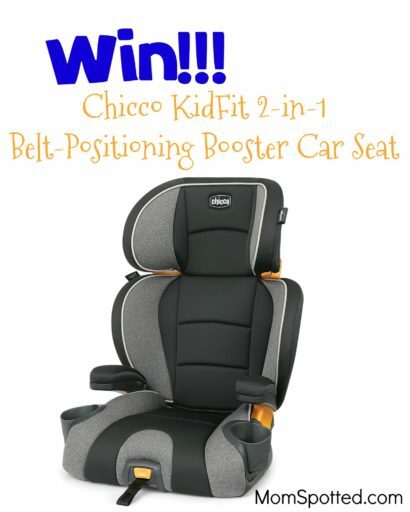 Right now (1) Mom Spotted reader has the opportunity to win (1) Chicco KidFit 2-in-1 Belt-Positioning Booster Car Seat. Contest ends 1.1.18 at 11:59 pm. For Official Giveaway Rules click here. U.S. Residents only. I love that everything is washable and the cup holders. Love the triple layer padding and that the fabric zips out!! I love that’s it washable, a huge plus for me. My daughter can get messy with food and drinks. Love it! The fact that it’s washable is tremendous! I like that the fabrics can be removed and are machine washable. It’s so great that you can remove the fabric easily and wash it. My daughter occasionally gets carsick as well. It’s the worst to smell a barfy seat! I love that the fabric is washable. This looks great! We are searching for a booster seat for my son. I love all of the features that this particular seat offers, especially the zip cover and the collapsible cup holders. I love that it can convert to a backless booster!! Really love that you can unzip the padding and wash it! LOve the fabric can be removed and washed. I like that you can remove the backrest. I love the storage console. What a wonderful idea. My favorite feature is the seat belt guides! That will help my grandson when he buckles himself. I like that the cup holders can be washed in the dishwasher. Machine washable fabric is always high on my list when I’m looking for car seats for the kids! First and foremost the safety features that chicco offered is incredible. Now all the extra fancy features are amazing! I like that the fabric parts are machine washable. My fave is the Premium LATCH connectors with SuperCinch one-pull tightener. My favorite feature is the SuperCinch! I like how it converts! I love that it grows and adjusts with your kiddo. My favorite feature is the washable fabric. 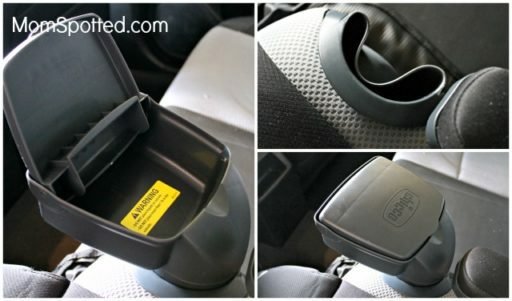 I love the cup holders & that its easy to clean! I love the bonus storage console! I love that the cover is machine washable. Kids are messy and carseats always end up looking really gross! That it’s easy to clean. I love that it has a storage area, cup holders, and is easy to clean. Thanks for the chance to win. I like that this Chicco booster seat has 10 different positions and side impact protection. You can always count on Chicco for quality and safety! My favorite feature is that the cover AND the armrest covers can be removed for washings! This is great since we travel a lot and the kids eat in the car constantly! I like the 3D AirMesh! I love that the fabric can be taken off and machine washable. My favorite features are the removable skin that is the best thing about it. The cup holders are amazing as well! One of the best I have seen from what I gather here. I love that the padding is washable! kids are messy! I love that you can wash the fabric! My niece needs a booster seat! The cooling feature of the 3D Air mesh is a great feature. I love the washable padding. Those car seats can get so messy! I really like that it is breathable and the child won’t get hot and sweaty sitting in the car. My favorite feature is that it is washable. Like how the fabric is washable. I like the SuperCinch which secures the child in and I also like that the fabric can be removed and washed. I love the extra leg room and that it’s washable! My little guy makes such a huge mess! I like that it has side impact protection. I love the fact that it is easy to clean. I love that it converts to a booster for older children. I like that it has a contoured ErgoBoost® Plus seat with triple foam padding for comfort. Thanks. The storage console is my favorite feature. Machine washable is a life saver! My favorite feature is the cup holders. I love that you can easily unzip the cover and wash it! My favorite feature is the leg rest! My daughter would love that! the side impact protection is my favorite feature of this seat. safety is very important. I like that the fabric is easily washable. I love that it is WASHABLE !! I like the 3d AirMesh on the seat and backrest. I like the safety of the side-impact protection. Chicco makes the best car seats. I would love this seat for my daughter who will be outgrowing her car seat soon. That it grows and adjusts as they grow. I really like that fabric is removable and washable. I like the 3D air mesh because my son is always warm. I like that the fabric covers and the armrest covers can be removed and are machine washable. I love that the backrest can be removed to turn it into a booster seat for an older child. My favorite feature is the SuperCinch technology where you just do one pull and the car seat is secure. I love the storage console and that the fabric is removable and washable. I love its washable padding. The storage console is very cool, I’ve never seen a seat with one before. I love that it is easy to clean, has cup holders and adjusts with age. There are many features I love… The safety, etc. but the storage is awesome too! I love the side impact protection. I like the positioning of the seat belt–there are few things more uncomfortable, not to mention dangerous, than a seat belt that does not fit correctly, such as riding up near the child’s neck rather than being across the chest. I like that all of the fabrics can be removed and washed! I like that the fabric is machine washable. I like that you can wash the padding. I love the feature of being able to wash all of including the arm rest! I love the breathable seat. My grandson is a “heater” like yours is, LOL, so this would be great for him! This seat looks amazing! I love the leg room, that’s awesome! I really like the classy color. Very basic and mature looking. I really like the you can take the cover off easily and wash it in the washing machine! So glad it’s washable! When kids get sick or make messes in their seat it’s always such a pain. I love that it has latch connectors! Easy install! My favorite feature is that it is easy to install. I love how it comes apart to be machine washable/dishwasher for parts too! Safety features are the #1 priority, but all the other great features and durability make it a #1 Choice for car seat! I like that it grow with the kid and can be turned into a booster seat.